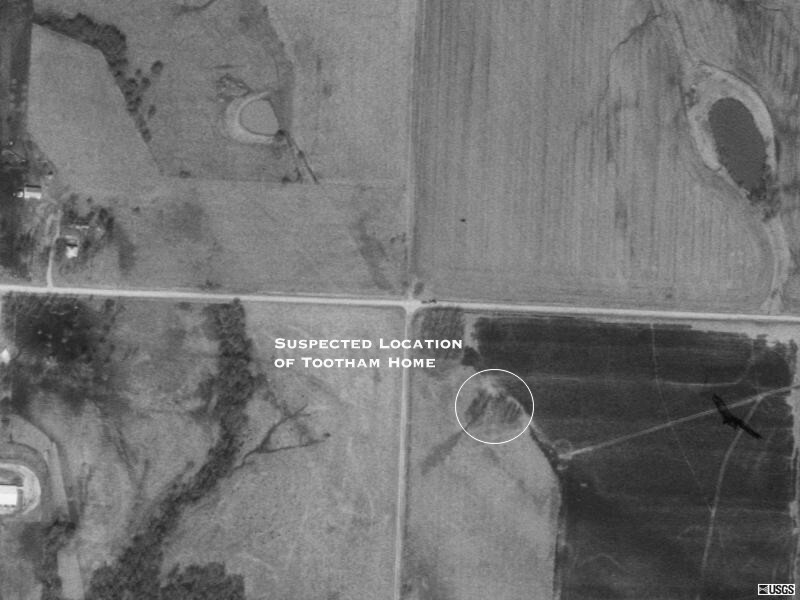 The suspected location of the Toothman home is indicated on the image above. Evidence that the site was the homestead is provided by the fact that a capped well, typical of 19th century well construction techniques, is located on the site. Please see the Image Gallery portion of this web site for a photo of the well.